Snorkeling in turquoise blue heaven; kayaking through wondrous natural beauty; racing with the waves windsurfing and kite boarding; or dive gliding and exploring the depths in a whole new way. If this sounds like a dream holiday to you, then just continue reading. By booking the Sophia, a 2013 Lagoon 39 catamaran, in the British Virgin Islands, all these activities and so many more are at your fingertips. With 6 cabins and 2 bathrooms, the Sophia is both spacious and comfortable for families or groups of friends. Spend your holiday in paradise exploring any number of the 60 islands that comprise the BVI. And along with nature sanctuaries and protected national parks to explore, why not spoil yourself with cocktails at some of the most exclusive resorts or a day or two on your own private island. The options are endless; all you need to do is book this boat. For more ideas, sailing advice and places to visit, don't hesitate to contact the local crew. The British Virgin Islands, nestled on an island chain between Puerto Rico, Anguilla and the US Virgin Islands, is an ideal location for island hopping in the Caribbean. 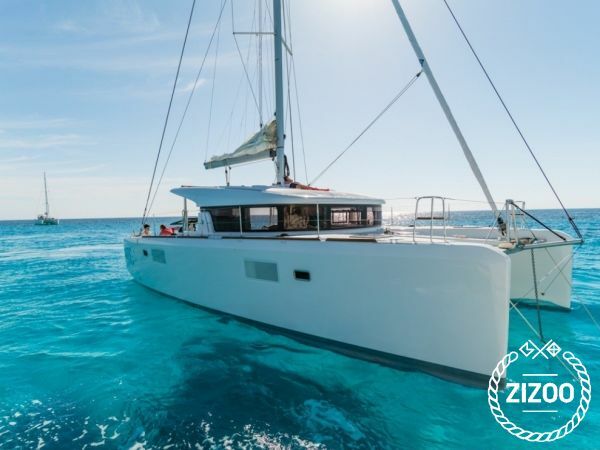 When you book a yacht charter in BVI with Zizoo, you have the freedom to explore a range of popular island towns, stunning natural landscapes and small, uninhabited islands that are great for getting away from it all on your next sailing holiday. Requested 65 times this week!